The 4d Black and Red on yellow value from the definitive issue of 1922 in Mounted Mint condition - SG 235 - catalogued at £15.00. Fiji, KGVI, 1938, 6d. black value Die I, SG 260, LMM, Cat £60. A low starting price with no reserve. I will always do my best to answer or deal with any issues raised. Ensure these details are correct. Single value (shade) 1954-1959 definitives. SG 288a (8d, carmine-lake, issued 1958). Mint, never hinged. INCOMPLETE ISSUE - MINT NEVER HINGED , WATERMARK MULTIPLE CROWN AND SCRIPT CA , BLOCK OF 18 , BORDER OF THE PLATE GUTTER , BOTTOM DETACHED 6mm , GUTTER FOLD , SCOTT - 93 , MICHEL - , P 5872p. 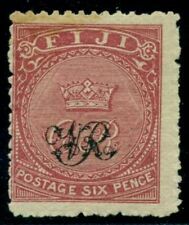 This is a set of 2 Singles of Fiji Scott numbers B3-4. Any Rainbow effect you may see in the picture is from the protective plastic over the stamp. Need Supplies or don't see what you are looking for?. 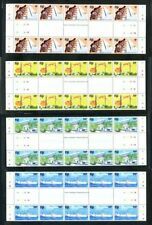 INCOMPLETE ISSUE - MINT NEVER HINGED , WATERMARK MULTIPLE CROWN AND CA , BLOCK OF 4 , , SCOTT - 86 , MICHEL - , P5872p. Be sure to add me to yourfavorites list ! 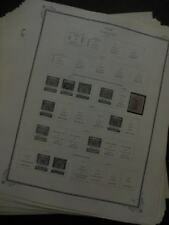 USA Airmail; 2.5$ -Airmail Other Countries. Fiji. QV-QEII. 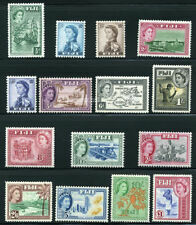 A selection of MH/U including Coronation & Victory sets. Fiji 1946 Victory 3d with 'Sky doubling + on date' R 1/5 SG 269 Mnh. 1946 Victory 3d with 'Sky doubling on date' R 1/5. 'GOLDBERG 1946 VICTORY ISSUE' catalogue. Constant variety as listed in. Mainly fine/very fine. (SG Cat - £135). This is a Single of Fiji Scott numbers 146. Any Rainbow effect you may see in the picture is from the protective plastic over the stamp. Need Supplies or don't see what you are looking for?. A FINE UNMOUNTED MINT STAMP. 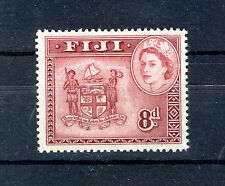 SEE SCAN FIJI SG118/9, ½D 1D MCA PAIRS MOUNTED MINT, CAT £70 . Type Block. Never Hinged. Rare item. Cover with no contents, weakly cancelled at SUVA (13th?. MAR is best guess at date) with rare PC 90 CENSOR LABEL, minor soils. This is a set of 2 Singles of Fiji Scott numbers 137-38. Any Rainbow effect you may see in the picture is from the protective plastic over the stamp. Need Supplies or don't see what you are looking for?. This is a set of 2 Singles of Fiji Scott numbers B1-2. Any Rainbow effect you may see in the picture is from the protective plastic over the stamp. Need Supplies or don't see what you are looking for?. Cover from Dunedin with 16 September 1946 postmark to Rabi with return address in New Zealand. Rare Rabi 1 October 1946 cancel in violet. This postmark has its first use recorded as 2 November 1946 so this is a new earliest date for this postmark. FIJI 1854 ½d myrtle-green corner marginal blk of 6 U/M with R6/10 stamp showing lines of shading missing variety, nice positional variety. SG 280 var. Fiji Revenue. Stamp Duty. Here are the details for this lot. 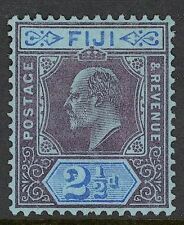 Fiji KGVI 1938 11/2d & 2d mint o.g.